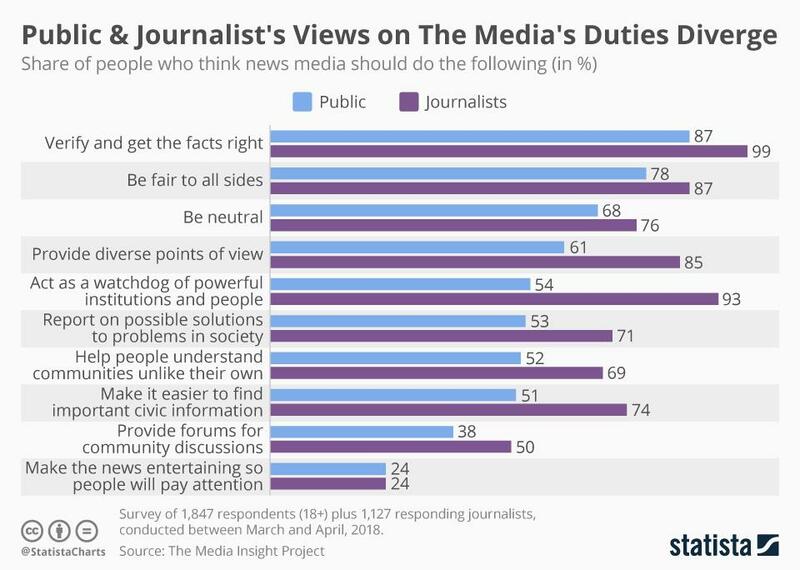 Chart of the week: How public and journalists' views on the media's duties diverge Journalists have an exact idea of the civic duties their trade must fulfil. 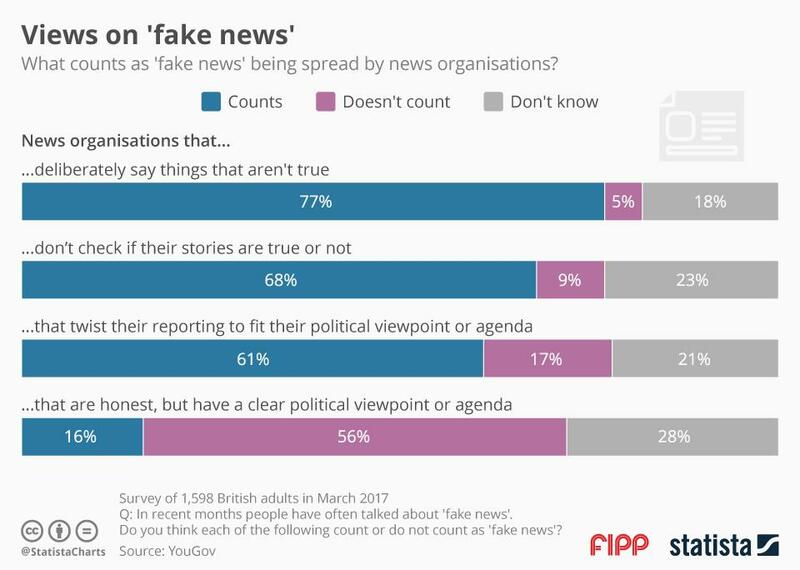 But as a survey by the Media Insight Project found, these ideas are diverging from the public opinion of a journalist’s duties. 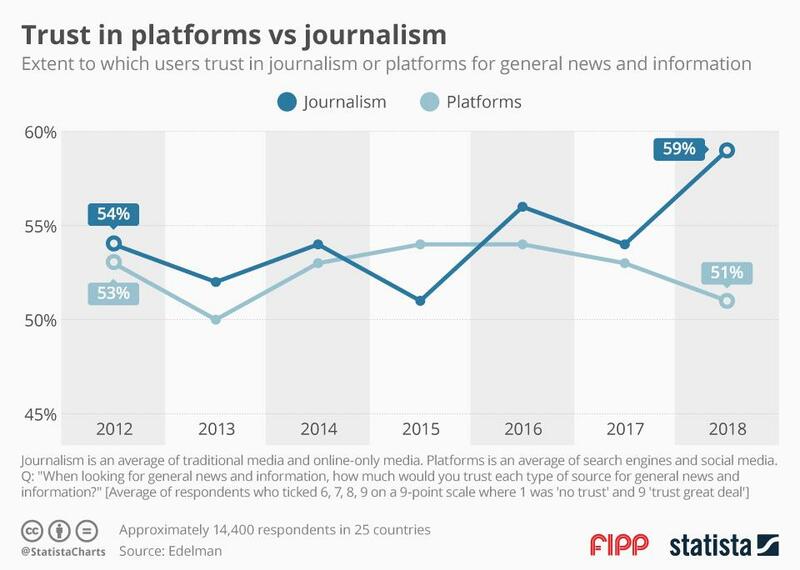 Even though the news caste and the public can agree that the news landscape shall remain neutral, be fair to every side and shall check facts, it’s the journalist’s exclusive opinion that they must act as a watchdog for those in power and provide different ways to interpret a certain topic. However, these duties are of lower priority to the public.